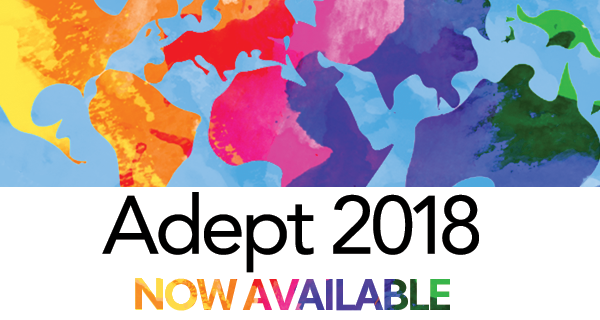 We’re pleased to announce that Adept 2018 is now available to download from the Synergis Software Client Portal. For a quick overview of the new capabilities in Adept 2018 plus considerations for upgrading to Adept 2018, we highly recommend that you read the Adept 2018 Prep Guide. make you aware of some important changes in the Adept 2018 products that you’ll need to consider when you upgrade. See the new features of Adept 2018 in action by registering for our webinar on Thursday, August 9th – available at two convenient times – 11AM EST or 2PM EST. As always, if you have any questions, please do not hesitate to call Synergis Software Helpdesk at 800.836.5440 or 215.302.3000 or email [email protected].